I saw those crabs on FB and was sorely tempted, but alas I went and put notopalas in most of my tanks and the tanks without notopalas have loaches, it appears that Dwarf Chain Loaches are even good at decimating MTS (yah) but I think they would also munch these cute litte snails. I am guessing that the crabs wouldn't eat the adult notopala but the baby notopala are so tiny they would sadly be fair game for a crab. 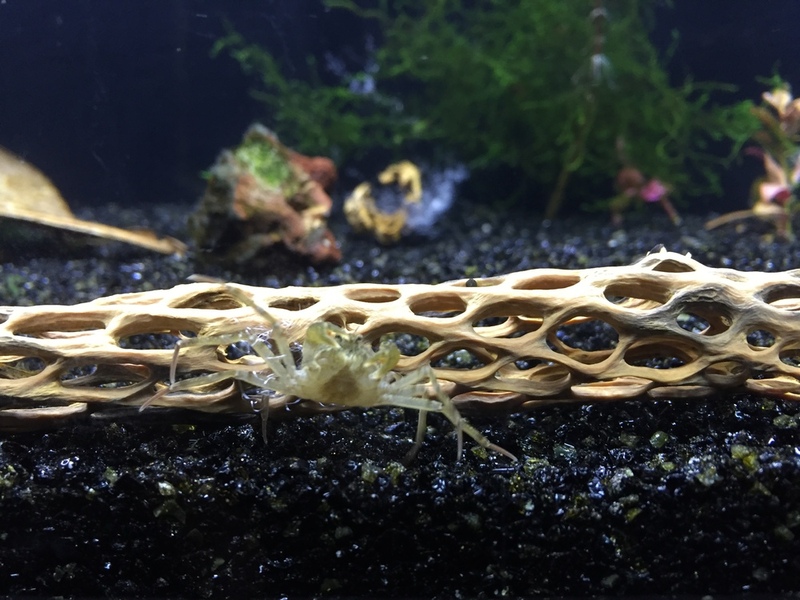 Very interested in seeing other peoples experiences with this little crabs, one day I might be able to find a place for them aside from my 1000L pond where I would be certain to never see them again. Great to have you on here Harrison! Will be great to hear more about these! I've created a Freshwater Crabs subforum and moved posts including this one to it. Seems like we may be on the verge of sparking some great interest. Man I am so tempted! Guys, I enquired about colour variation- we have potential here: they come in black, brown, khaki green, yellowish and whitish...I will add a few to my cull tank to play it super safe. They look darn cute! I don't know what personality flaw makes me want to try all new things out there- I review all those products because I keep getting tempted to try stuff in case it's awesome. Now I had to go and get me some crabs. Thanks @waffle, I will blame you 10% for this ? For a special price you can have crabs of whichever colour you choose. I have bought 3 black and 3 khaki and will put them in my tiger-parameters cull tank. I can see how some of you end up with 10-60 tanks. I limited myself to 4 period. But now I have a cull tank. It starts. Very excited to start line breeding these little guys! At the price of cherries, who can resist the cute little beady eyes with those little pincers. 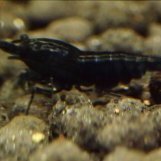 There is not much in my cull tank, so I will be watching these guys closely as I have exactly 6 shrimplets in there and a few oddballs. Selective breeding sounds exciting! Wonder what colours I'll get! I'll find out soon haha. I'm getting 2 males and 8 females so high chance I get a female the same colour as one of the males and I can try breeding from those. Hmmmmmm I have enough tanks to put a pair of each colour in each tank. This is dangerous!! I would like to try line breeding black and white. If the lines stabilise then try crossing those lines to see if it yields some crazy weird results just for fun. Yeah, his fault I ordered some the other day too. Can't wait to take some macro shots of my macro crabs. Tank is setup and ready to go. Will be with my bloody mary and tang tigers. Mine are here! They're epic!! They started going on a murder spree vs snails <5mm size as soon as they went in the tanks. But they completely ignore the shrimp. One of them just got shared dungless when a juvie neo touched its leg. Awww they look so cool, i look forward to seeing all your guys developments. First set of happy snaps!! I can see it now you all telling your wives and girlfriends, babe i am so excited i got crabs today! Maybe this hobby is why I'm single?? ? So cool guys! They look awesome? I still don't trust the look of those pincers and will soon see if they eat newly hatched shrimp. How are they catching the snails? Do they just turn them over? I can't wait to get mine too. Mine is being shipped on Monday because I selected specific colours. I want Crabs too now! Oh no Disciple shades of Bob he shared his crabs all over the place LOL. He did have some nice and colorful Crabs I have to admit. I wonder if he still sells them? LOL Basri that went straight over your head! It was a standard joke sometime ago about Bob sharing his "crabs" - sorry I couldn't help myself! So cool guys! They look awesome I still don't trust the look of those pincers and will soon see if they eat newly hatched shrimp. How are they catching the snails? Do they just turn them over? Yeah they just grip around the shell and turn them over. They have to kind of 'feel' the snail while wandering around before they are interested in it. They don't seem to be visually attracted at all. The only reason they can catch the snail is that it is too slow to escape once they've touched it and decided it is tasty. So far I've seen them brush a leg against shrimplets. The shrimplets just swim away, and this often frightens the crab a bit. Other than that they seem completely indifferent to the shrimp. and lols it looks like we have an epidemic going on ? They also quite like digging through the substrate for organic matter. Which is a plus to me clean-up-wise. This morning the shrimp have started following the crabs around. The crabs sift through the substrate to get tasty snacks and in the process leave a lot of snacks for the shrimp who can pick up the smaller pieces. It's so adorable! I have to face an explosion of mini ramshorn snails in my discus tank, but could not use any chemicals in that tank as there are also some RCS and nerites in. Hehe be careful with crabs!! Most are not shrimp safe!! 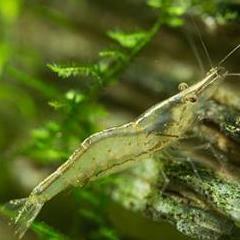 I hope you can find a species that is shrimp safe in new caledonia! 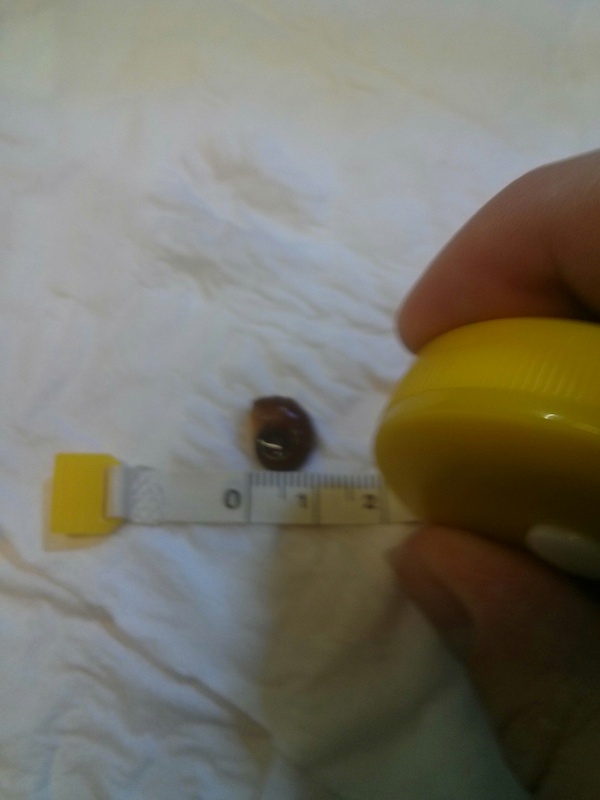 Case: Murder of a 1cm ramshorn snail. Evidence: The victim's body was half eaten and the suspect was seen guarding the corpse before fleeing as investigators approached the scene.